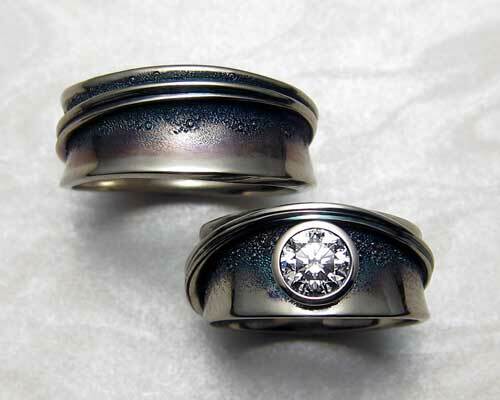 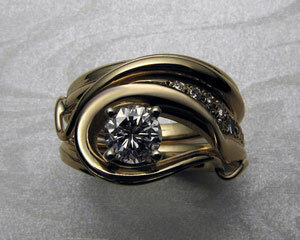 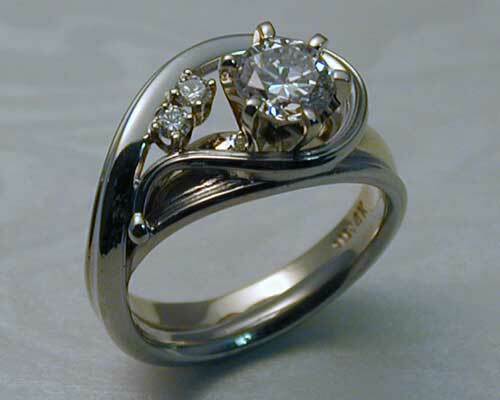 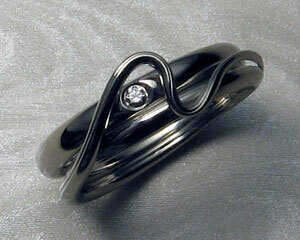 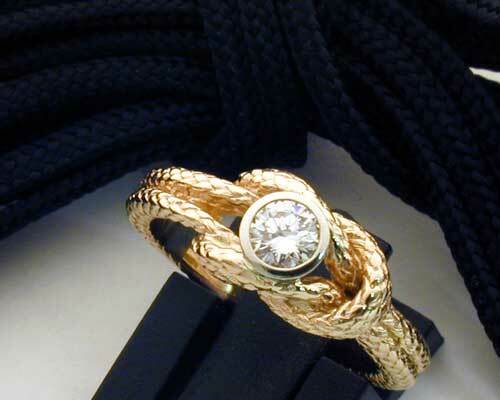 Split band solitaire with matching free-form band. 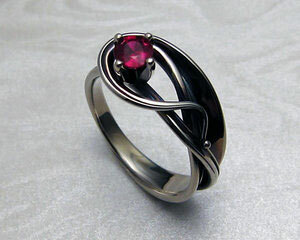 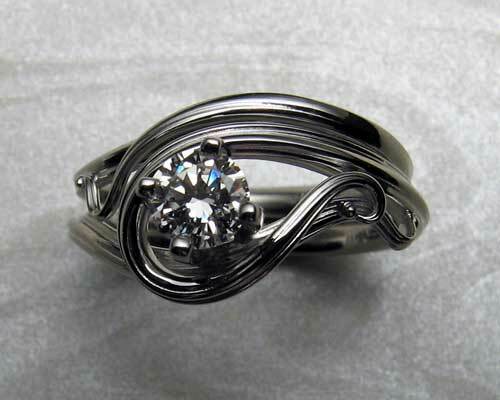 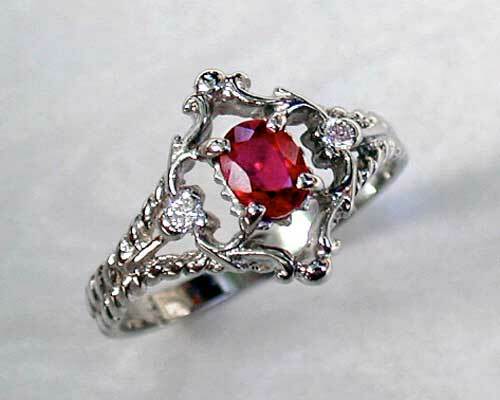 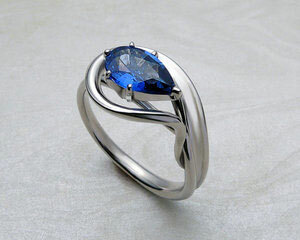 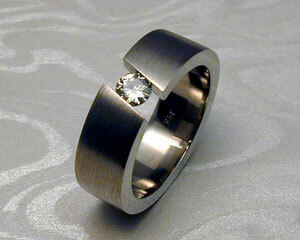 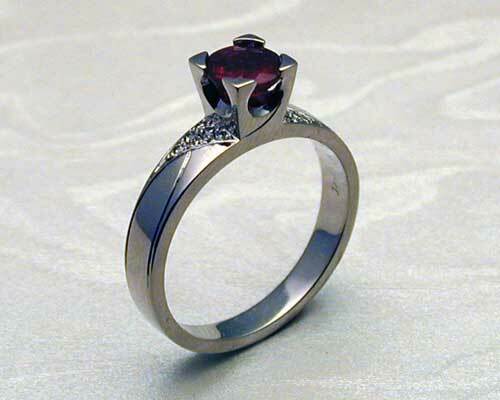 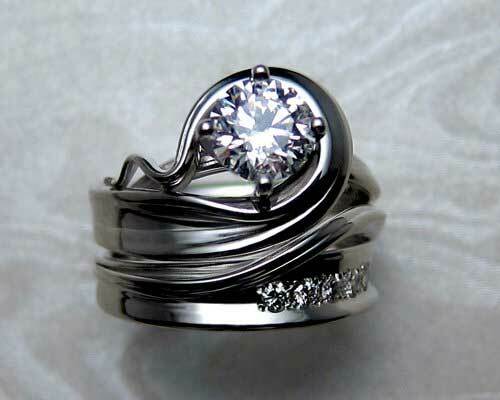 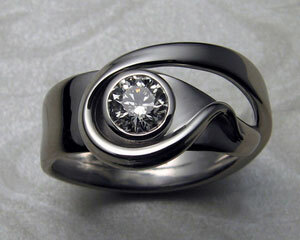 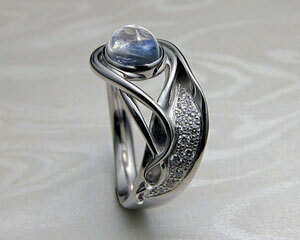 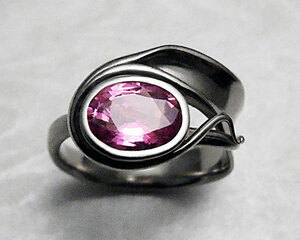 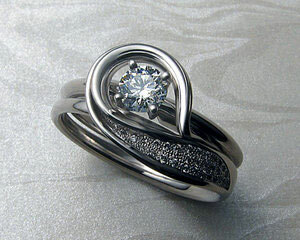 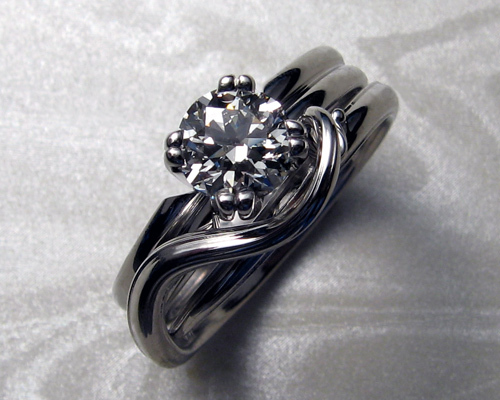 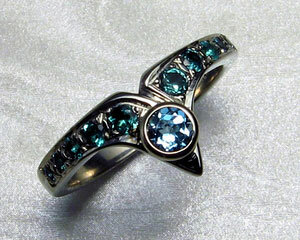 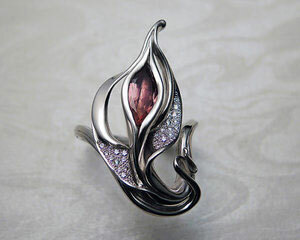 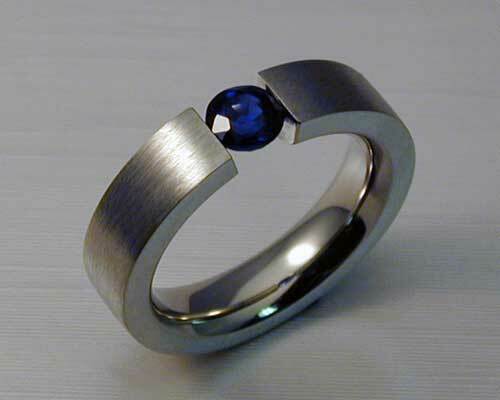 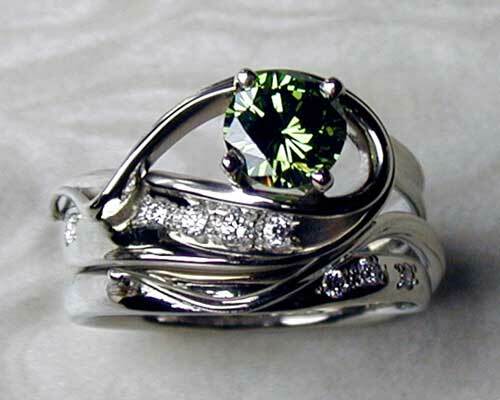 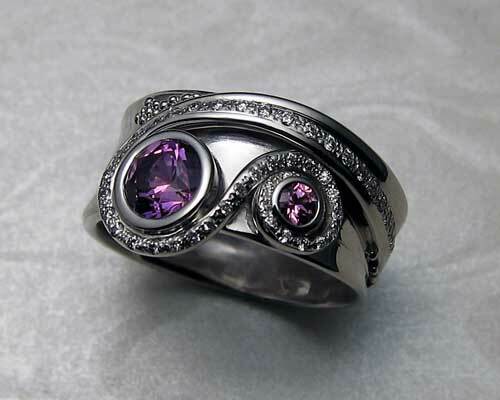 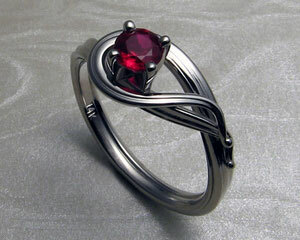 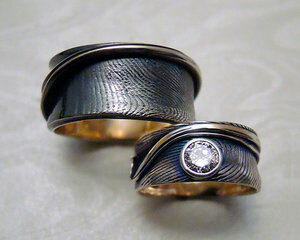 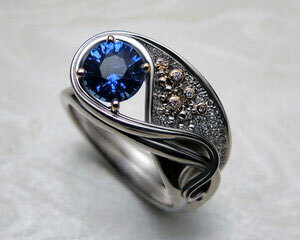 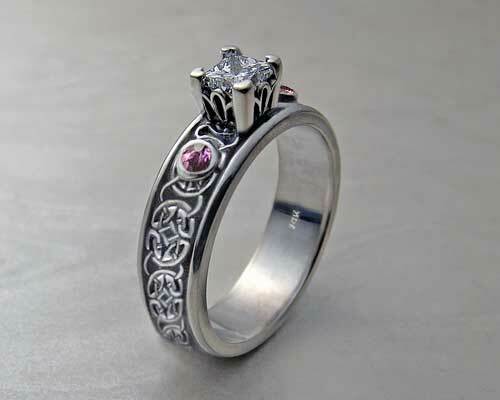 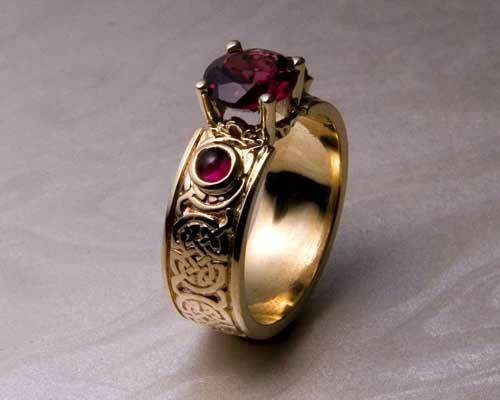 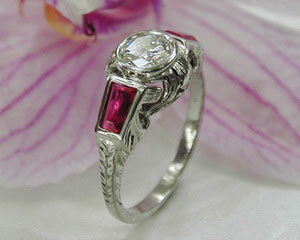 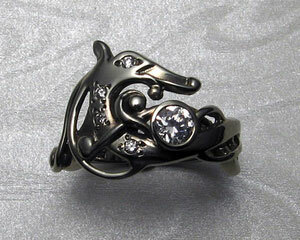 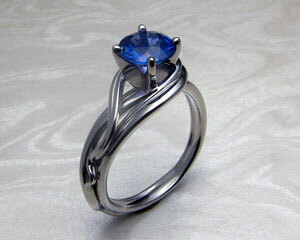 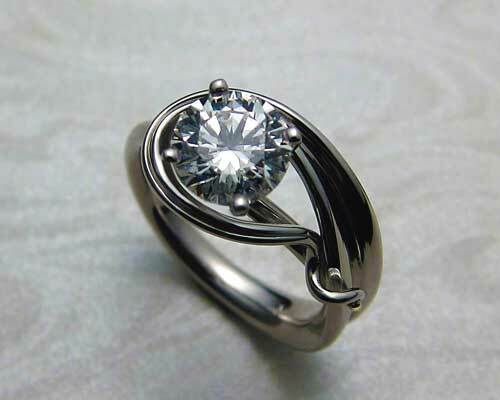 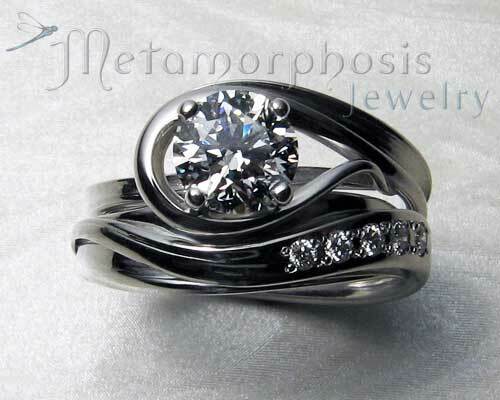 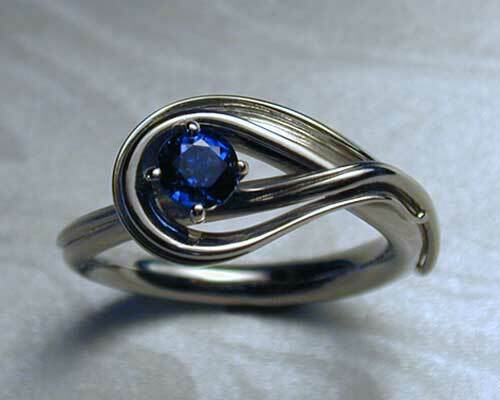 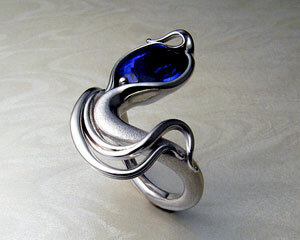 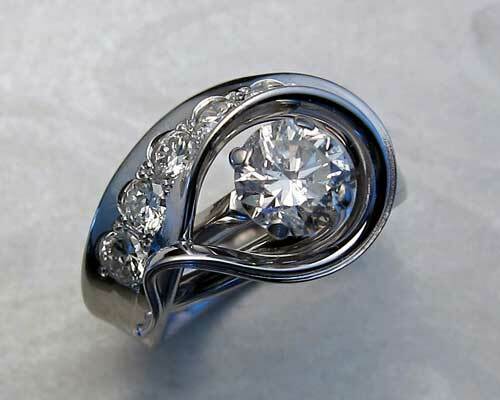 Formal engagement ring complimented by asymmetrical free-form band. 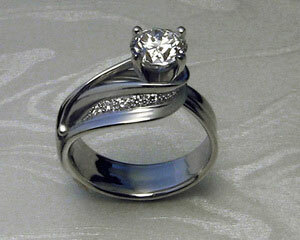 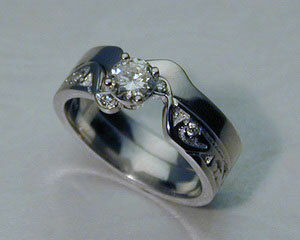 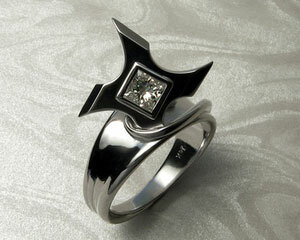 Solitaire engagement ring with split band, diamond held in split 4-prong setting. 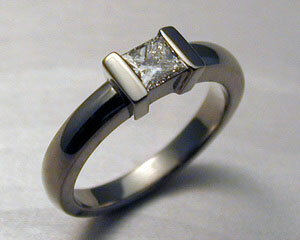 with unusual 14k white gold band. 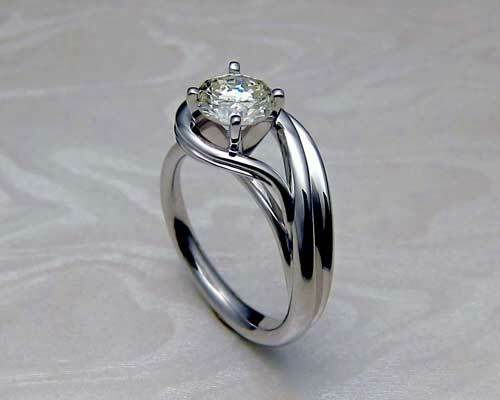 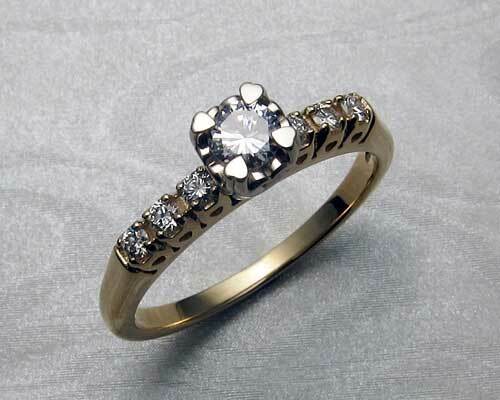 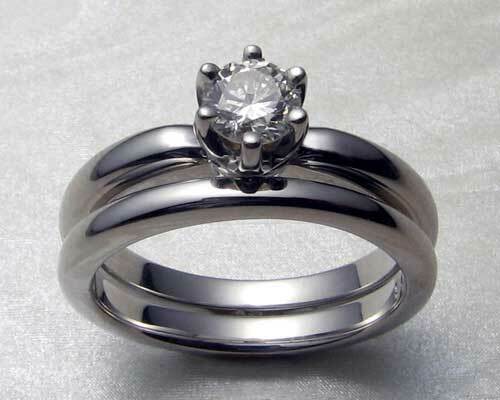 Split band solitaire engagement ring. 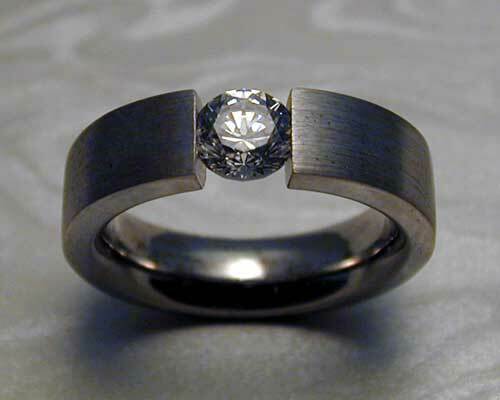 Solitaire with custom made band. 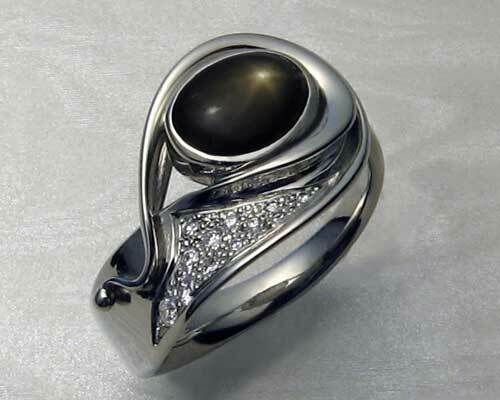 or call our North American toll-free 1 877 844 8743.